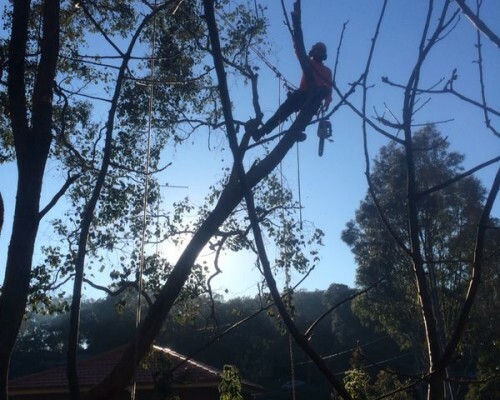 This was a tree removal in Eltham on the Finest Winter day we’ve had yet! The trees were growing along a fence line that was being replaced. The stumps had to be removed as well to make sure that there would be room for new fence posts. There were several trees underneath that we needed to protect, so most of the branches were rigged down on ropes. This entry was posted in Job of the Week on August 25, 2014 by H Create. 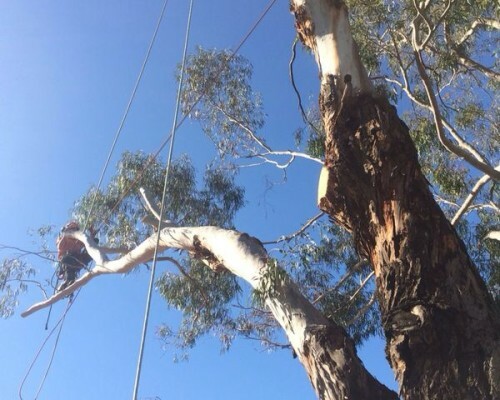 This was a large tree removal we did in Essendon. This was the ultimate in confined space tree removal. We had to use many different rigging techniques to get all the branches/logs to come down where we wanted them to. 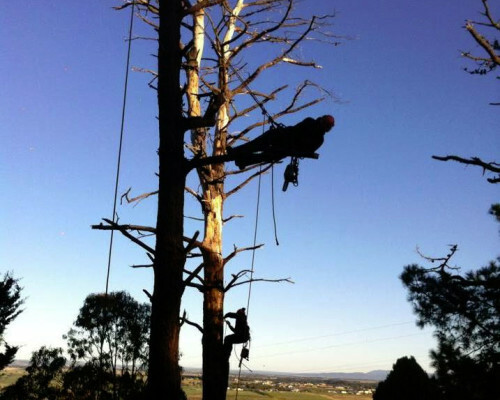 Our client got an Arborist Report to assist him with the planning permit application. This tree was recommended for removal by the Arborist who wrote the report. He was able to determine the extent of the decay in the main trunk with a sounding hammer, which ultimately lead him to the conclusion for removal. There were many other areas throughout the tree with extensive decay. This entry was posted in Job of the Week on August 15, 2014 by H Create. Here we are getting ready to remove some Large Pine Trees in Mickelham. These trees had been dead for years. Termite ridden at the base, extensive rot at the top. All the trees were leaning away from the house so the resident wasn’t too concerned, but they lost a few big limbs with the wind from last week, so it was time for them to go. Not exactly sure what either of us are doing exactly in this shot. But both these trees need some limbs taken off before we had room to fell them. All in all it was a good mornings work! This entry was posted in Job of the Week on August 5, 2014 by H Create. © 2019 TREE AMIGOS. All Rights Reserved. ABN 47 158 713 823.